We were having a family get together this May long weekend with my sister and her kids. So being the cool Auntie 😉 that I am I got my niece’s a little something to play with during our long weekend visit. I got my youngest niece the Shopkins Kinstructions Shopping Cart. 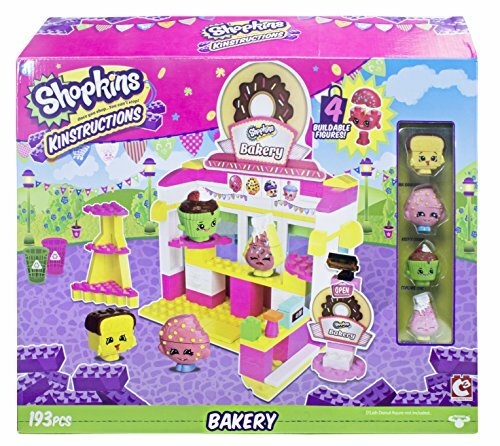 She likes to play with little things and is really liking the Shopkins toys so I thought that this was a good gift idea for her. The weather was great so we spent a lot of time outside hanging out. We took some pictures and would like to show you this cool little Shopkins Shopping cart toy! My niece decided she needed to use one of my big stones from my flower garden to build her Shopkins shopping cart on. She opended up the bags that were included in the box and these were all the pieces that were included in the set. 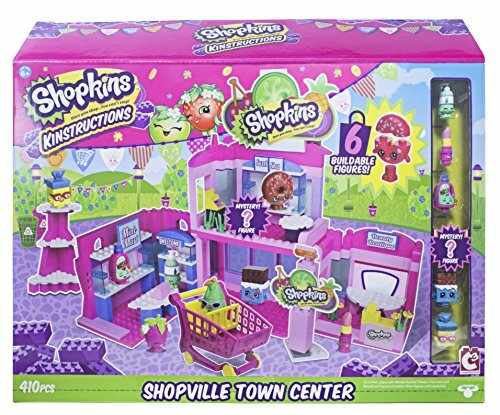 You get 37 pieces to build together with this Shopkins Kinstructions set. The two Shopkins Kinstructions figures also come apart as well. My niece really liked this little Shopkins Kinstructions mini pack building set. I like this set as it provided her some building skills and following the directions to piece it together. I like that the shopping cart is durable enough to be played with outside and be pushed around the flower beds. As you can see below my neice has collected a few colorful flowers for her shopping cart as well. I also like that it is priced for under $10 making it an ideal gift for that “just because” it would be fun for the weekend! 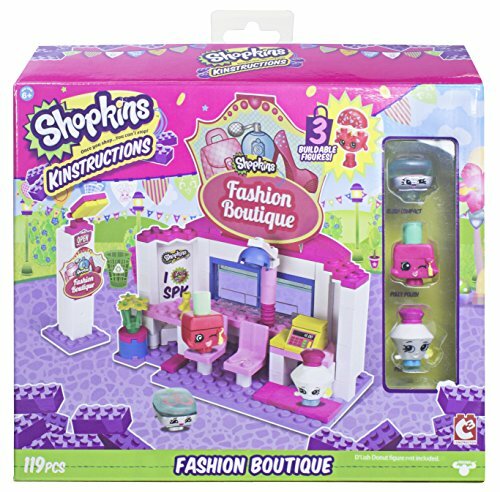 Shopkins Kinstructions Shopping Cart Style 2 This is the exact Shopkins Kinstructions Shopping Cart toy that I had purchased. This mini pack building set comes with 37 pieces to build together as well as two Shopkins that can be taken apart and built as well. The two buildable figures are Freezy Peasy and Wild Carrot that can go on the stand or be placed into the shopping cart. 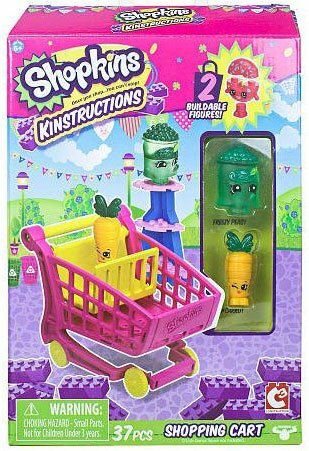 There is another shopping cart that you can purchase as well that has two different Shopkins Kinstructions in that kit. Can You Find Freezy Peasy And Wild Carrot? Yep we had a little fun playing hide and seek in the flower beds with these two!